SuretyGroup.com writes court replevin surety bonds. It happens all the time. Someone has something that doesn’t belong to them, and the rightful owner wants it back. Maybe a friend borrowed an expensive piece of jewelry and now refuses to return it. Perhaps an ex walked off with a family heirloom, or a landlord took possession of a tenant’s personal property. When someone wants their “stuff” back, and the person in possession refuses to hand it over, a Replevin Bond may become necessary. The saying “Possession is nine-tenths of the law” doesn’t mean all hope is lost. A Replevin Bond allows you to take possession of the item until a hearing is held. It guarantees that you will not damage or destroy the item until a judge determines who the rightful owner is. 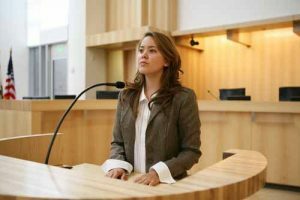 You can increase your chances of the judge ruling in your favor by being prepared for your court case. Have all your documents on hand, such as a bill of sale, a title to the property and photos of you with the property. Bring witnesses who can testify to your ownership of the property. Have copies of all your forms, dress nicely, and have all your statements and questions planned out in advance. If you are asked questions, listen carefully to the questions and answer honestly. If the judge rules in your favor, you get to keep the property. But if the judge rules against you, you must return the property. The property must be in the same condition it was in when you acquired it with the bond. If you damage the item in the meantime, you will be held liable. Replevin Bonds are also used by lienholders, such as banks, when a debtor defaults on car loan payments. The lienholder can regain possession of the vehicle by repossession or by replevin. While repossession may be the easier route, some states do not allow repossessions, so a replevin is the only action to take. A replevin bond may also be necessary if the lender cannot access the car, such as the car being stored in a garage or behind a fence. The bond requires the debtor to produce the vehicle. If you need a Replevin Bond in order to regain possession of your property, you must purchase it from a Surety through a licensed agent, such as SuretyGroup.com. I am going to file Replevin claim on them, and I need a Replevin Bond. How much will cost me? I can proof I own all the items I am about to repossess. Thank you, I will be waiting for your answer.